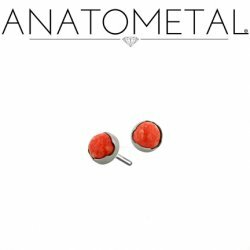 Anatometal threadless ends. 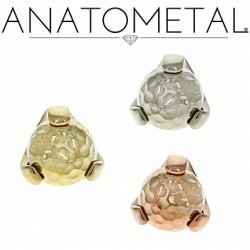 Gold and Titanium press-fit gem ends and gem clusters. 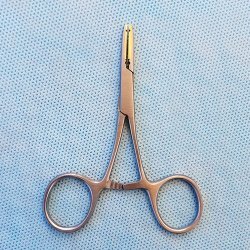 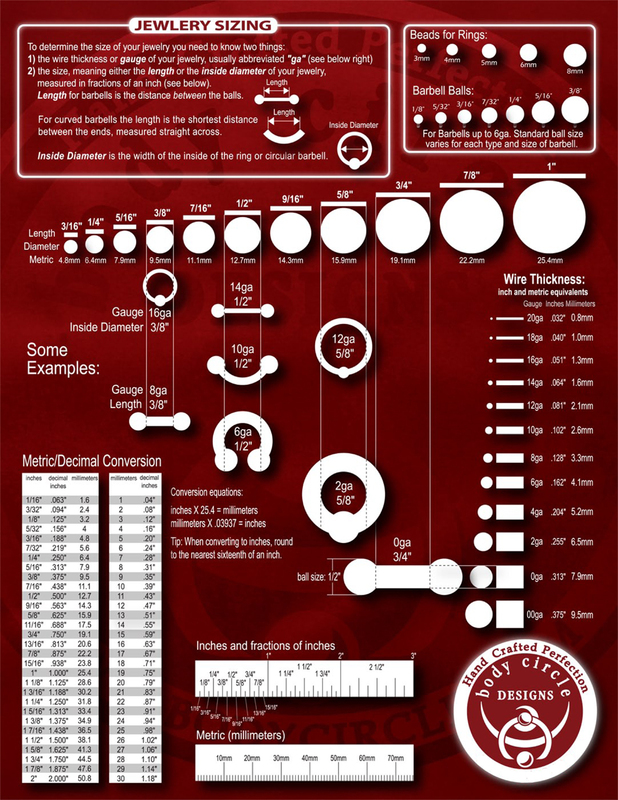 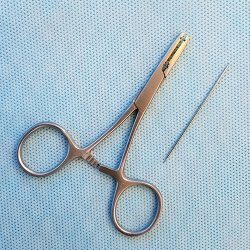 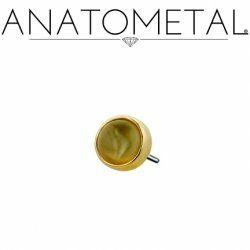 The "press-fit" threadless system is an effective alternative to internally-threaded body jewelry and is currently in wide use by many body piercers. 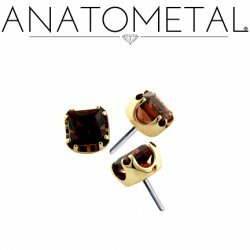 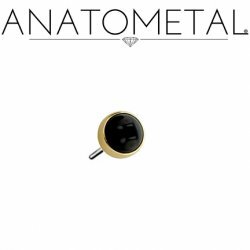 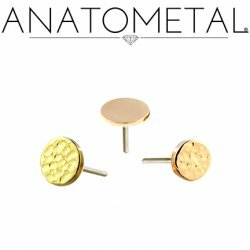 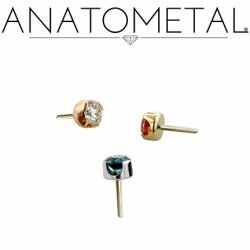 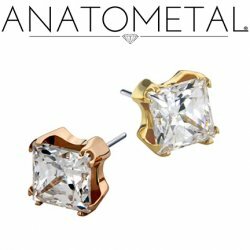 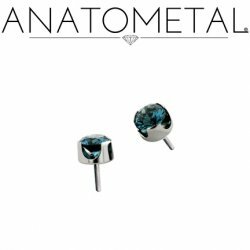 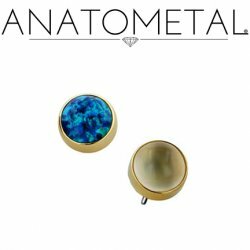 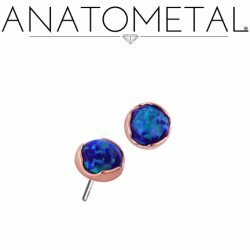 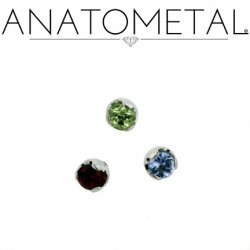 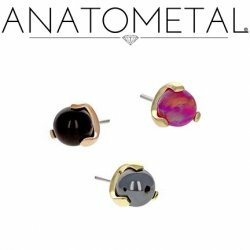 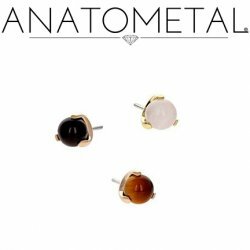 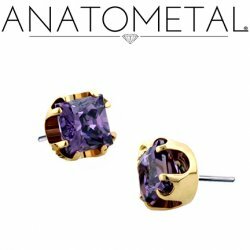 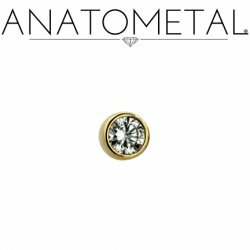 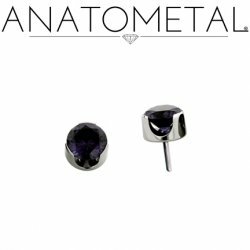 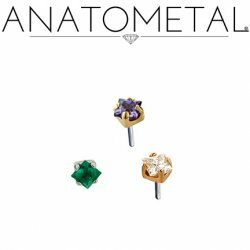 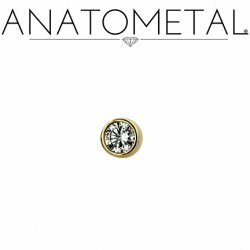 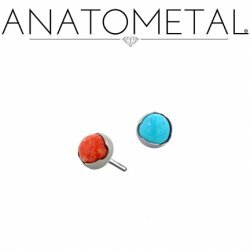 All Anatometal body jewelry is hand polished and has a smooth surface finish recognized as one of the best in the industry. 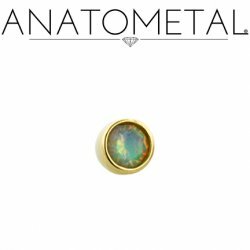 Anatometal Titanium Threadless 1.5mm Prong-set Faceted Gem End 18 Gauge 18g "Press-fit"
Anatometal Titanium Threadless 2mm Prong-set Cabochon Gem End 18 Gauge 18g "Press-fit"
Anatometal Titanium Threadless 2mm Prong-set Faceted Gem End 18 Gauge 18g "Press-fit"
Anatometal Titanium Threadless 2.5mm Prong-Set Cabochon Gem End 18 Gauge 18g "Press-fit"
Anatometal Titanium Threadless 2.5mm Prong-Set Faceted Gem End 18 Gauge 18g "Press-fit"
Anatometal 18Kt Gold Claw-set 3mm Gem Threadless End 18 Gauge 18g "Press-fit"
Anatometal 18Kt Gold Claw-set 4mm Gem Threadless End 18 Gauge 18g "Press-fit"
Anatometal 18Kt Gold Claw-set Hammered Gold Ball Threadless End 18 Gauge 18g "Press-fit"
Anatometal 18Kt Gold Threadless Disk End 3mm 4mm 3/16" 18 Gauge 18g "Press-fit"
Anatometal Titanium Threadless 3mm Prong-set Cabochon Gem End 18 Gauge 18g "Press-fit"
Anatometal Titanium Threadless 3mm Prong-set Faceted Gem End 18 Gauge 18g "Press-fit"
Anatometal 18kt Gold 2mm Prong-set Princess-cut Gem Threadless End 18 Gauge 18g "Press-fit"
Anatometal 18kt Gold 3mm Prong-set Princess-cut Gem Threadless End 18 Gauge 18g "Press-fit"
Anatometal 18kt Gold 4mm Prong-set Princess-cut Gem Threadless End 18 Gauge 18g "Press-fit"
Anatometal 18kt Gold 6mm Prong-set Princess-cut Gem Threadless End 18 Gauge 18g "Press-fit"
Anatometal 18kt Gold Threadless 1.5mm Bezel-set Faceted Gem End 18 Gauge 18g "Press-fit"
Anatometal 18kt Gold Threadless 2.0mm Bezel-set Cabochon Gem End 18 Gauge 18g "Press-fit"
Anatometal 18kt Gold Threadless 2.0mm Bezel-set Faceted Gem End 18 Gauge 18g "Press-fit"
Anatometal 18kt Gold Threadless 2.5mm Bezel-set Cabochon Gem End 18 Gauge 18g "Press-fit"
Anatometal 18kt Gold Threadless 2.5mm Bezel-set Faceted Gem End 18 Gauge 18g "Press-fit"
Anatometal 18kt Gold Threadless 3mm Bezel-set Cabochon Gem End 18 Gauge 18g "Press-fit"
Anatometal 18kt Gold Threadless 3mm Bezel-set Faceted Gem End 18 Gauge 18g "Press-fit"
Anatometal 18kt Gold Threadless 4mm Bezel-set Cabochon Gem End 18 Gauge 18g "Press-fit"